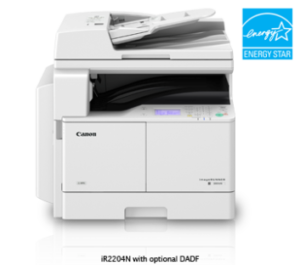 Canon Image Runner is a multi-function device, sturdily built to meet all Business needs. With exceptional performance, smart value and an impressive range of intelligent capabilities. Connect it to a network and heavy workload can be shared between these powerful workstations for more efficient job processing. Whether it is large volume, complex print jobs or a full color scan, you can rely on imageRUNNER’s high speed performance. Every imageRUNNER device is crafted with eco-friendly features. Higher efficiency and speed while reducing wastages all contribute to a greener environment.